So, were the holidays nice? Weren’t you able to resist all the delicious treats? Then we have something in common. But don’t worry! 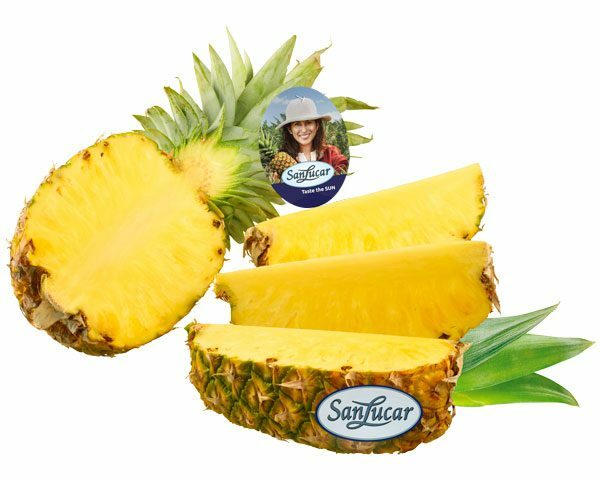 Pineapple is our friend and helper when it comes to taking on those holiday pounds! Why? This is what we’re going to show you now! Even when it comes to getting rid of the feeling of fullness in your belly, the delicious fruit is a real natural – because pineapple contains the enzyme bromelain, which splits protein. In this way, blockages can be freed and digestion is stimulated. So: forget the schnapps! 😉 Even those of us who in the coming weeks want to convert to a lighter diet will love pineapple! Nevertheless: please don’t do a pure pineapple diet! This would leave you with a protein deficiency! But if you eat pineapple on your light days, it’ll be more pleasurable. Because it’s not only super delicious, but also contains almost all the vitamins and 16 different minerals and trace elements. Especially when you eat less, this is an absolute plus, because it is more difficult to get all the important minerals. In addition, the exotic fruit has a high water content that boosts our metabolism. But that’s not all: since pineapple provides us with the good-mood neurotransmitter serotonin, we don’t get irritated despite having less food, but remain relaxed and in a good mood! And even those who would like to get rid of their pounds through sport should not forgo pineapple. The vitamin thiamine contained in it stimulates the body to convert carbohydrates into lots of energy. So you’ll definitely not run out of gas! It also protects you against nasty cramps in your muscles – because the sweet fruit is a true source of potassium and will keep your mineral levels balanced! In the mood now to cook really delicious light dishes with pineapple? Then have a look at our food blog on Pinterest! You’ll find many delicious recipes such as Grilled Honey Pineapple. Bon Appetit! We’re snacking away the fat – with Mandarines!